As the world sits in silence, the entire region watches a Genocide unfold before its very eyes. Similar to the events of 1914, Islamic Extremists have followed in the footsteps of the Ittihadists (Young Turks), and begun a policy of extermination against indigenous Roum, Assyrian, and Armenian population. The latest ultimatum by Islamist terrorists in Mosul, to either convert to Islam, pay a religious levy or face death, only adds to the legitimacy that what is taking place is in fact Genocide. The return of ‘dhimmi’ status has spread from Syria to Iraq. For far too long, ethno-religious minorities in the Levant and Iraq have been forced to live lives full of daily kidnappings, robberies, rapes, and murders. In response, to the most recent declaration of dhimmi status. Assyrian-Americans are organizing a worldwide day of protest on August 2. In order to bring attention to the plight of the region’s ethno-religious minorities, and also the need to create an internationally protected ‘Safe Haven” in Iraq. Operation Antioch, therefore, urges all Greek-Americans living in the Tri-state Area, to stand with the Assyrian-American community on August 2nd, outside the United Nations to voice their outrage at the treatment of the region’s indigenous Antiochian Greek and Assyrian minorities. 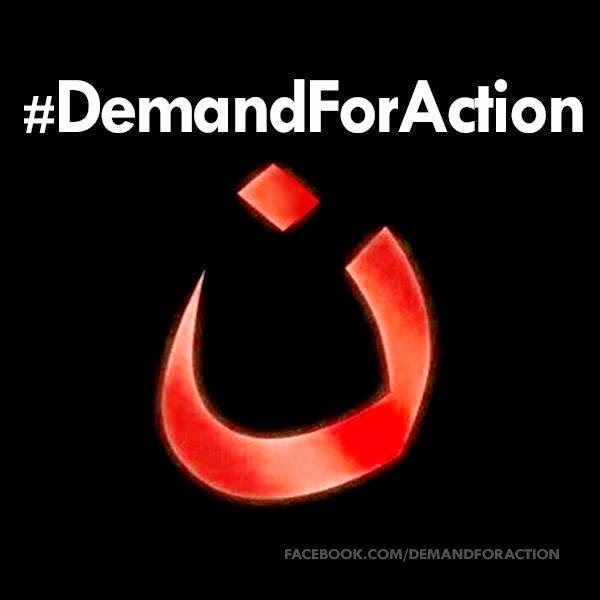 A Demand for Action is a global initiative to support the protection of the Assyrians (including Syriacs/Chaldeans) and other minorities in Iraq and Syria.